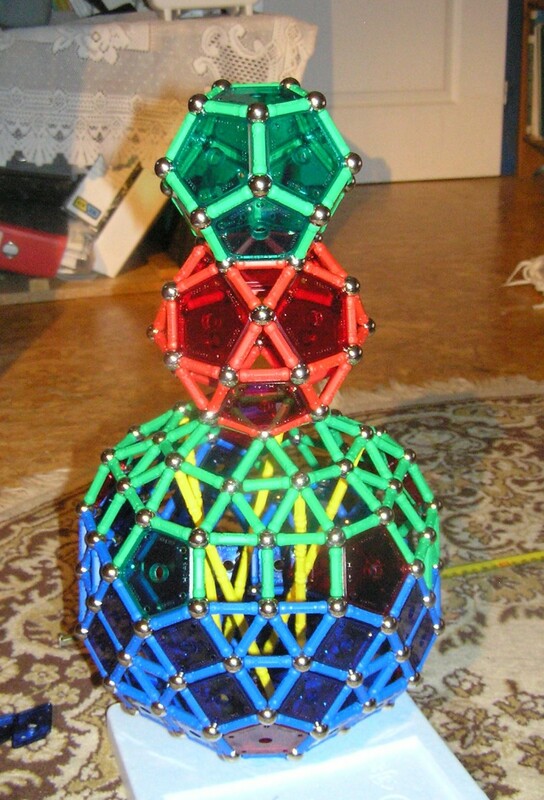 I have added almost twice our previous collection - 360 rods, 240 balls (10xGeomag Color 60) and 3 packages of pentagons. Unfortunately, it seems that I still don’t have enough pieces. Currently missing some plastic - mainly squares. I have started with “big” ball. 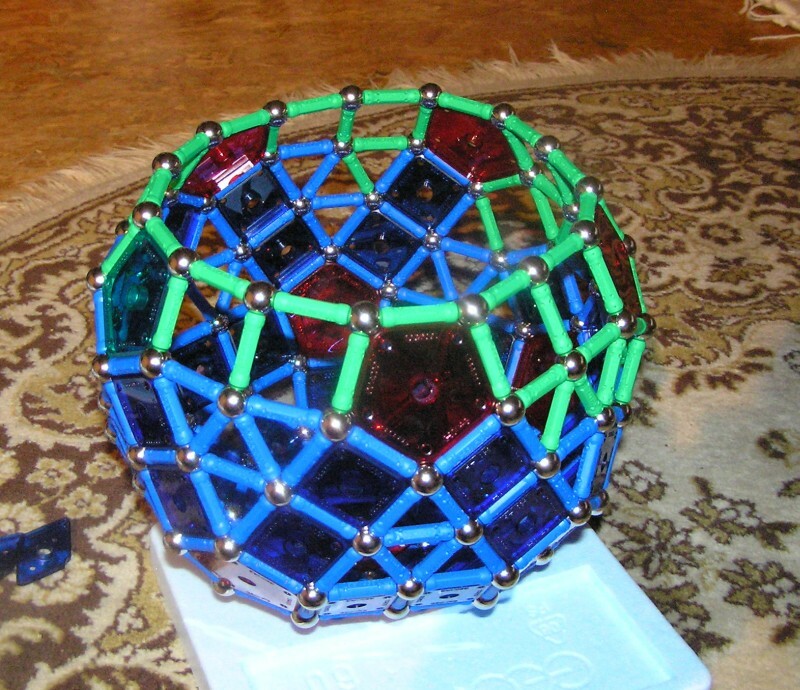 Such a big ball was not possible to make with only 180 rods from previous collection. 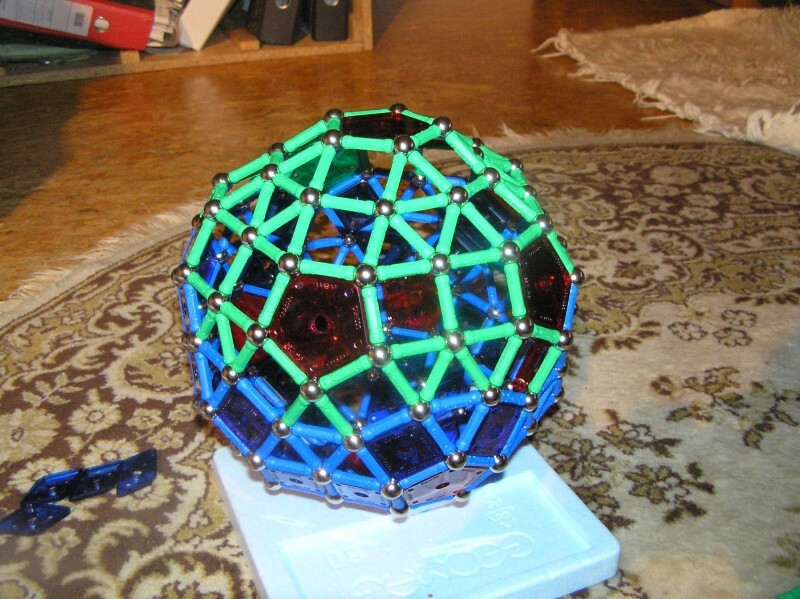 From this point I had to worry about stability of the ball - I had used all squares available, so all squares on the top of the ball remained without any support. But finally, I have managed to complete first ball. For the second ball, I had to use smaller size than planned - again, no squares. 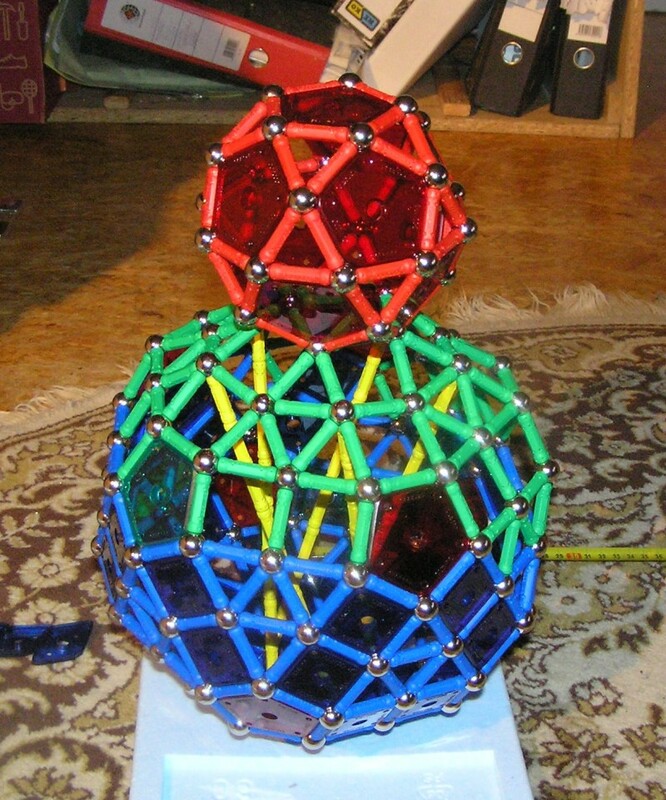 You can see also yellow rods inside first ball - as a reinforcement, to be able to carry other two balls. 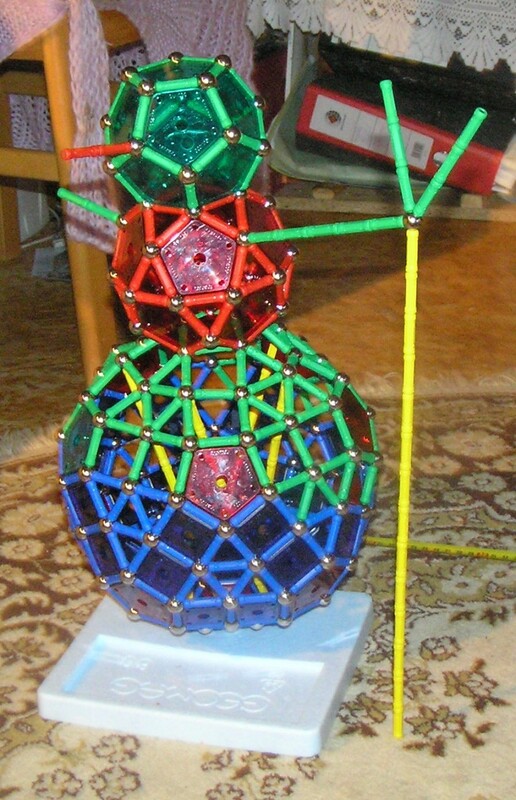 All balls completed, just to add some final touch and snowman is complete. This entry was posted on Saturday, December 29th, 2007 at 12:24 am	and is filed under Constructions, Static. You can follow any responses to this entry through the RSS 2.0 feed. You can leave a response, or trackback from your own site. Ale sněhulák vypadá dobře, to zas jo..
ještě mě tak napadlo.. co druhou kouli udělat bez čtverců..150 tyček, 12 pětihúhelníků a 80 trojúhelníků? Nevím jak ti to vychází materiálově, ale velikostně by to sedět mohlo.